The bed panels and rails that we ordered from Overland Sprinters have arrived, and now we need to fit them to the van. All the pieces are really sturdy – the rails weigh in at just over 50 lbs for the pair. The aluminum panel frames are much lighter (under 45 lbs for all three), but still really strong. The rails come from Overland Sprinters in a raw state. We have to drill fixing holes at the points we want them, then prime and paint them. The rails will bolt through the wall coverings into the C and D pillars and into the C-and-a-half pillar between the two window blanks. That middle pillar is on a slight angle so its location varies depending upon the final height of the rails. 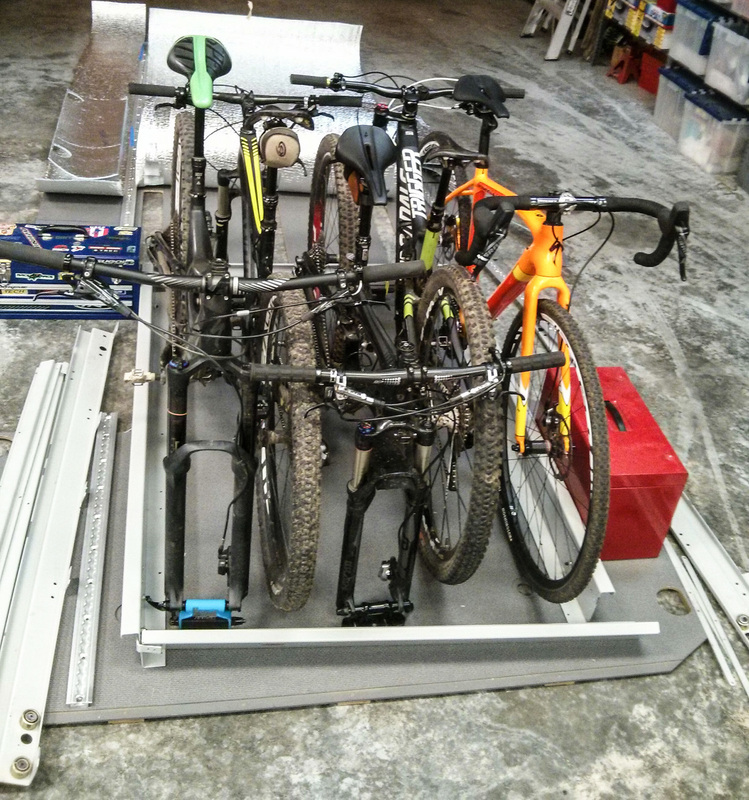 A while back we measured the height of the bikes. We also know how high off the floor the pull-out drawer will be. That lets us know the minimum height for the underside of the bed panels. That height is where we will place the top of the bed rails. What’s really cool is that the rails are formed to take account of the sloping walls of the van. Rather than making a 90 degree bend at the top, the angle is slightly “off” so that the part the platforms will rest on is horizontal. We have the 170″ wheelbase van, so the rails have to extend over 100″ to reach between the C and D pillars. The metal brake that Overland uses isn’t long enough to form the 11-gauge steel in one length, so the pieces are welded together. Nice clean finish on the exterior edges. I’ve been really impressed with the quality of the components that Overland Sprinters sent and also how well they packaged everything up to ensure it arrived without getting bent, scratched, or otherwise mangled. Now it’s up to us to fit the rails and add some panels to the platform frames. Update: We’ve now installed the bed. How high did you end up having the bed off the floor? We are currently looking to add bikes under the bed as well and are looking for a pull out drawer. What brand drawer did you install? Our bed is 42″ off the floor. We still have to take the front wheels off our freeride bikes, but road bikes and 29″ cross country mountain bikes fit in. We bought a Kwikee brand drawer for the bikes to fit on, but we haven’t installed it yet and we might not. Want to buy one cheap? Thanks for the reply. I think we are going to skip the slider all together as well. What length m8 bolts did you guys use to secure the bed rails? We used these 30mm ones. They had to go through our wall panel and in to the rivnuts set into the van frame. 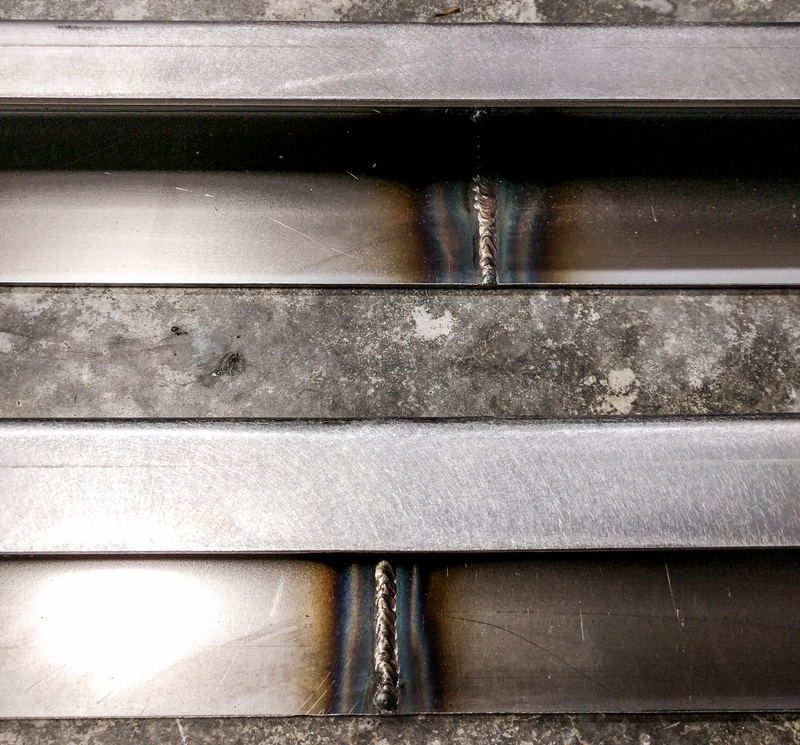 Hey Dieselfumes – Did you consider using Overlands weld in mounting hardware before you decided to go with rivnuts ? I am curious how secure and reliable the rivnuts will be with 2 adults and possibly my 7 and 8 year old boys when they think it would be a good idea for all four of us to be on the platform! Also, what material did you use to wrap your wall panels and how was it applied to the plywood….3M spray? Thanks! Adam, I didn’t want to have to weld anything to the van walls. I have ten M8 rivnuts per rail, and I think you could hold a party up there. I would be tempted to use less, in fact. The forces are all perpendicular to the rivnuts, which are really strong in sheer. The bigger issue will be the platform pieces themselves. Mine flex marginally. Make sure you use more attachment points between the plywood layer and the aluminum frame than we did. We covered the wall panels with 1/8″ closed cell foam and then Olefin upholstery fabric (automotive tweed/ church pew fabric / interweave). The ceiling was built up the same way. We used DAP’s HHR Landau Top high temperature adhesive, explained in this post. 3M 90 would probably be OK, but the HHR is specifically designed for high temperature work. If you already have an air compressor, I know it worked out cheaper to buy the spray gun and HHR adhesive than to buy the number of cans of 3M 90 you’d need. Good Morning – another question for you about the platform bed…..my wife would really like to add a few more windows to our crew van to get some ventilation….possibly Windows all the way around…I feel the same way you do about removing a perfectly good crew window. I would rather install additional Windows such as CRL with t vents. I know that they can have some quality issues but I’m willing to take the risk! So my question is: if I add more Windows, do you see any issues with adding the overlander bed rails and having it pass through the window at the horizontal line that separates the”T” from the fixed part of the CRL window? I have seen similar applications on the outside van site but wanted to get your input. Hopefully what I’m describing makes sense!! Adam, I’ve not used the CRL windows (yet) so I don’t know how the opening mechanisms work, but so long as the bed rail wasn’t in the way of the window mechanism I’m pretty sure you’d be fine. The rail would end up quite high on the wall, so check that you would still have enough room to sit up in bed. More window area = more heating/cooling area that’s hard to insulate. The other option is to add smaller oval windows above the bed area. OSV does that as well in some builds. The windows have sliders so they open. They would give you ventilation while still maintaining some privacy in the rear of the van. I don’t think that the lack of “template” is such a big issue. 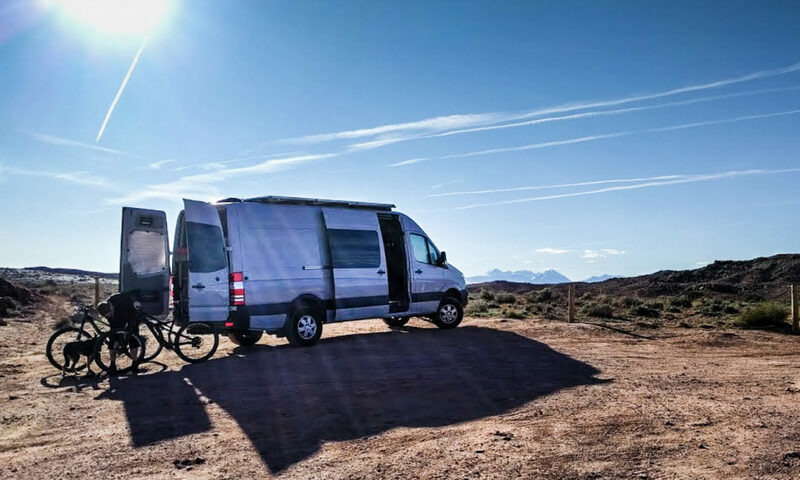 Check out how HighSierraBear did his install on the Sprinter forum. By any chance did you take a picture of the C and D pillars with the rail installed before you interior in? I have a 144″ crew van and I would like to see the area where you put your anchors with some perspective to the pillars to help with my setup. Hi Scott, I just added a few more images to the other post I wrote on this topic. To be clear, we didn’t install the rail before the interior went in. The rail sits on top of the wall panels. We put the rail in place, marked and drilled pilot holes through the rail and the wall panels into the pillars, and then removed the wall panels to drill the holes to size and install rivnuts. Then we re-installed the wall panels and bolted the bed rails through the wall panels and in to the rivnuts in the pillars. I think I figured it out- didn’t realize the useable mounting portion of the pillar was as narrow as it is. It looks like there is a little more than an inch to use to mount the rails. Great. One thing to consider – we used 3, 4, and 3 rivnuts to bolt the bed rails on with. I think you could get away with 2, 2, and 2. That thing isn’t going anywhere. The bolts are in sheer, so just a few M8 bolts will hold pretty much any weight you could put on top of the rail. I just got the Overland Sprinter bed kit myself, do you have the info on the particular rivnuts you used, also did you purchase a tool to install? Brian, we used the Astro Pneumatics 1442 tool to install rivnuts. We used M8 rivnuts for the bed rails. Because those were some of the only M8 size ones we used, I imagine we just installed the ones that came in the sample pack with the tool itself. If not, then we’d have bought them from Tacoma Screw, our local and online place for every imaginable type of fastener. The tool isn’t cheap and the price fluctuates on Amazon/other stores too. If those are the only rivnuts you plan on installing, you can buy manual tools that do the same thing – basically a bolt and a serrated edge nut. In the longer term though it’s likely you’ll be adding more rivnuts throughout your van, so the tool is a good investment.